My foodie friends (the fun ones) are all about this place. I decided to come here one night after drinking a few beers at Kaschk and realizing I needed food before I got drunk. Very “spontan”. Best decision of the month! LOL. 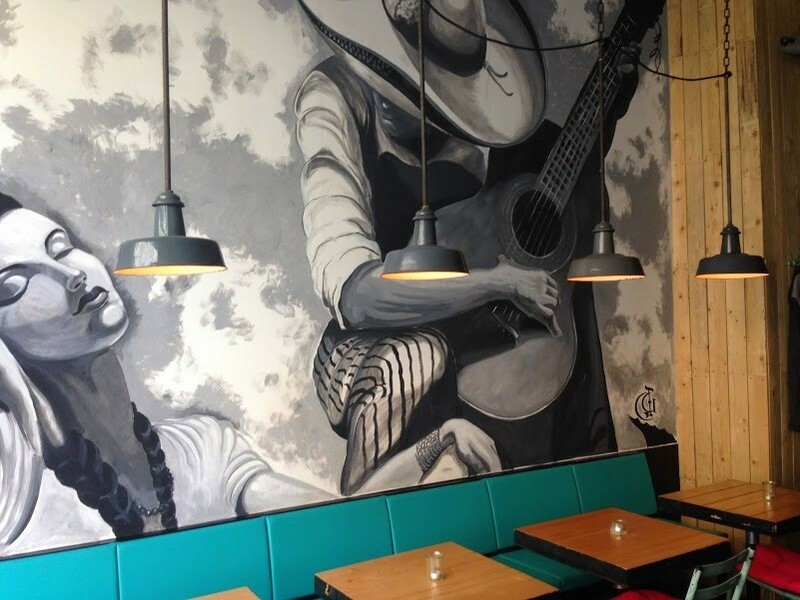 Yafo Israeli Gastro Bar is the kind of restaurant I love. Lively, friendly, busy, fun and delicious. I mean…what a combo! 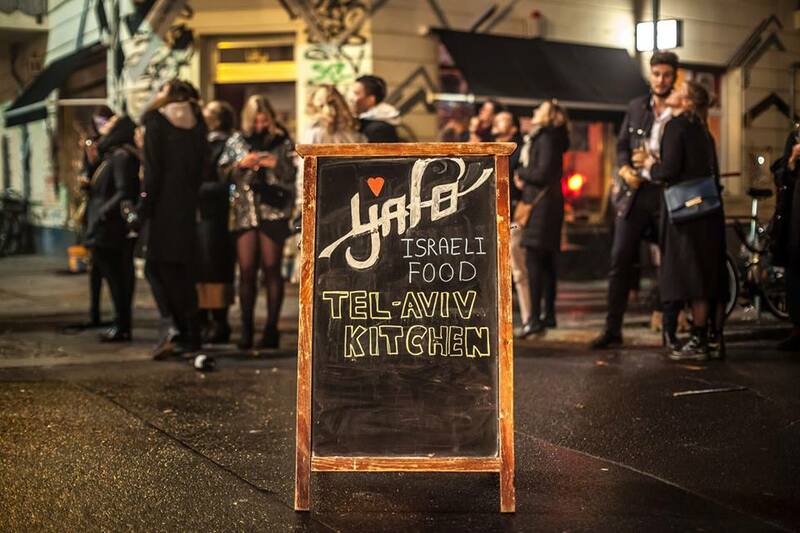 This Israeli gastro heaven is located on an atmospheric graffitied corner, a few blocks east of Rosenthaler Platz. Between Mitte and Prenzlauer Berg. To get here, take the U-Bahn (U8) to Rosethaler Platz Station and walk for 5 minutes. Photo by Jaque Attaque from Yafo’s Facebook Feed. When you arrive at Yafo (at least at night), it feels like you are entering a fun party hosted by dear friends. The staff could not be lovelier. We got there without a reservation (probably not a good idea) and they did their best to accommodate us. The mishmash design elements are charming and somewhat random. All very “Berlin-meets-Tel Aviv”. Homey and cool. 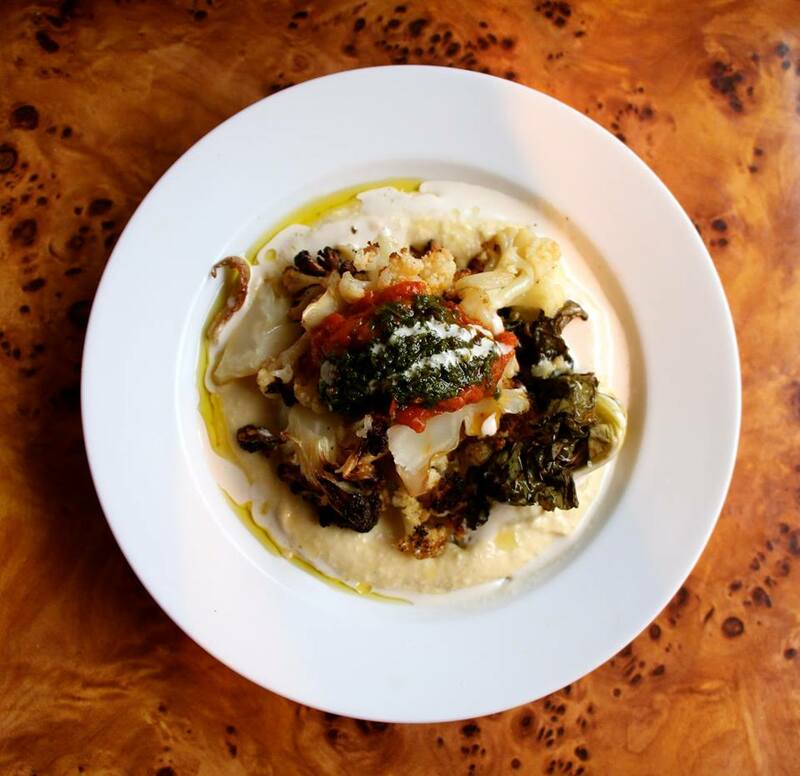 The menu focuses on classic Israeli dishes but gives it a fresh and exciting twist. All delicious and comforting, like being hugged by someone you love. Our table ordered quite a few dishes, but the ones we loved the most were: 1) Minced lamb, roasted aubergine and Matbucha; 2) Baked cauliflower (best I have eaten in Berlin). That said, I get a feeling that everything you order here will be very tasty. Foto from Yafo’s Facebook Feed. This is, no doubt, the perfect place to hang out after dinner and enjoy drinks with your friends until whenever. I am so in love with it, I might have to move in. I hear it feels more chill and has a completely different vibe at lunch time. I still have to come back to check that out. Or not…maybe I’ll stick to the lively, evening party vibe!